The GearWrench 4 Lug 4WD Spindle Nut Socket 1/2 Ton Dana 50 can remove and install 4 slot front axle locknuts on 1981 97 Ford F250-350, Bronco with dana axle, or dana 50lfs or model 60 monobeam axle outer adjusting nut; 1982 90 GM heavy duty 3/4 and 1 Ton Trucks. The 3937 GearWrench 4-Lug 4WD Spindle Nut Socket 1/2 Ton Dana 50 is one of thousands of quality tooling products available from MRO Tools. Please browse GearWrench Wheel Tools for tools similar to the 3937 GearWrench 4-Lug 4WD Spindle Nut Socket 1/2 Ton Dana 50. 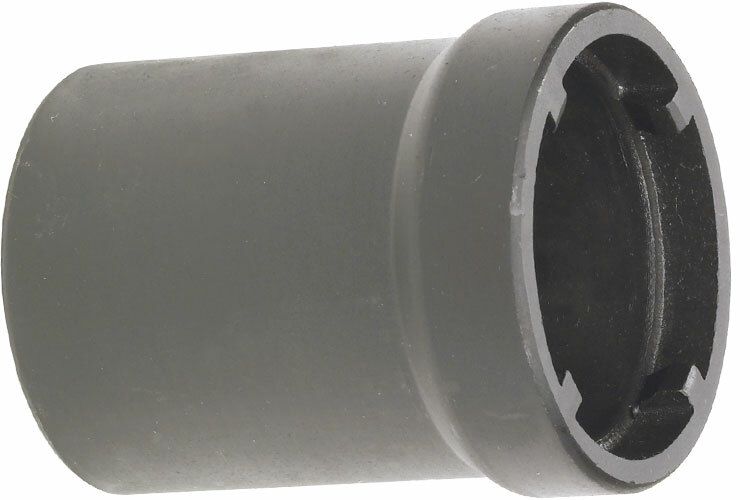 3937 GearWrench 4-Lug 4WD Spindle Nut Socket 1/2 Ton Dana 50 description summary: GearWrench 4 lug 4wd spindle nut socket 1/2 ton dana 50. Quantity discounts may be available for the 3937 GearWrench 4-Lug 4WD Spindle Nut Socket 1/2 Ton Dana 50. Please contact MRO Tools for details.